Popular journalist, writer and human rights defender Iman Al-Qahtani has been forced to shut down her Twitter account due to harassment by members of the security forces as a result of her human rights activities. Following her graduation from the College of Arts in Riyadh in 2002 with a BA in English literature and science she has worked at several newspapers in Riyadh and has also had articles published with the Guardian Newspaper in the UK. She has reported extensively on human rights activists in detention and has offered support to their families. She attended the trial of the leaders of the Association of Civil and Political Rights (ACPRA). For further information on their trial please see GCHR appeal dated 11 March 2013 (http://gc4hr.org/news/view/362), where the human rights organisation was dissolved and its leaders imprisoned. She has also written on Saudi women and their political role in society. On 10 April 2013, Iman Al-Qahtani posted on her Twitter account (@ImaQh) that she was closing down her account, writing “Oh dear mother I'll stop just for you, goodbye!”. She has been active on Twitter and had a following of over 73,000 people. 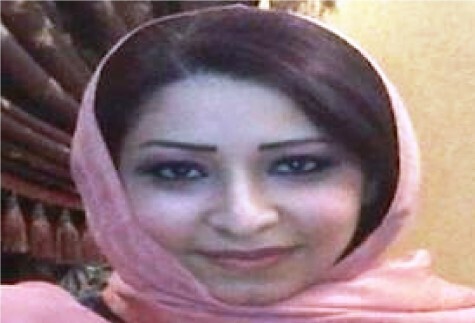 It is reported that Iman Al-Qahtani has been subjected to continuous harassment by members of the security forces. They have threatened her with jail and with targeting her family members, including her mother, if she did not stop her human rights activities. As a result she was under significant pressure to stop her on-line postings and to close her account. The Gulf Centre for Human Rights (GCHR) has obtained information that the Interior Ministry had made plans to arrest and detain her along with others who were openly sympathetic to members of the ACPRA. However, such plans were allegedly aborted at the moment. The GCHR expresses serious concern at the harassment directed at Iman Al-Qahtani and views it as being solely related to the legitimate exercise of her right to freedom of opinion and expression. The GCHR respectfully reminds you that the United Nations Declaration on the Right and Responsibility of Individuals, Groups and Organs of Society to Promote and Protect Universally Recognized Human Rights and Fundamental Freedoms, adopted by consensus by the UN General Assembly on 9 December 1998, recognises the legitimacy of the activities of human rights defenders, their right to freedom of association and to carry out their activities without fear of reprisals. We would particularly draw your attention to Article 6 (c) which states that: “Everyone has the right, individually and in association with others: (c) To study, discuss, form and hold opinions on the observance, both in law and in practice, of all human rights and fundamental freedoms and, through these and other appropriate means, to draw public attention to those matters” and to Article 12.2, which provides that “the State shall take all necessary measures to ensure the protection by the competent authorities of everyone, individually and in association with others, against any violence, threats, retaliation, de facto or de jure adverse discrimination, pressure or any other arbitrary action as a consequence of his or her legitimate exercise of the rights referred to in the present Declaration”.